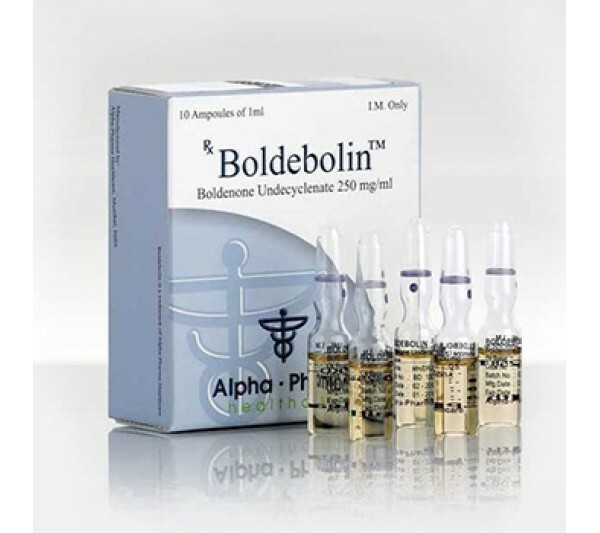 By purchasing Boldebolin, you get high-quality products from Alpha pharma. It is an anabolic steroid with the active ingredient boldenone undecylente, exhibiting androgenic activity. Also known as Equipoise. Form release ampoule, 1 ml. - the establishment of the process of oxygen in the muscles, due to the synthesis of blood cells. Athletes taking Boldebolin, first of all, speak of a slow, but fairly high-quality set of muscle mass. There is a point of view that the slow result is associated with a long ether (undecylenate), which joins directly to the Boldebolin molecule. Undecylenate is one atom longer than decanoate. In this regard, during the course of the Boldebolin course the muscles grow much slower than during the course of the Nandrolone. This affects the duration of the course - its duration can be up to ten weeks. Like Deca, Boldebolin has been oriented in the body for a long time, which should be remembered by athletes participating in competitions. The drug can significantly increase strength and hunger. Boldebolin improves blood formation stimulation. An increase in red blood cell levels enhances oxygen transport to the muscles. That is why many athletes use the steroid.